Due to ongoing forestry operations and other contributing factors we will be unable to hold the Bluebell Walk this Spring. 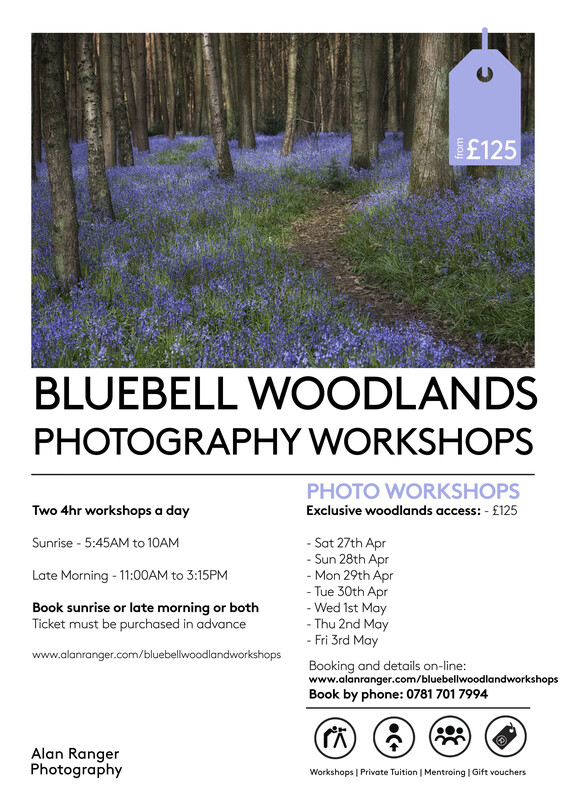 We can offer the following limited opportunity to Join Alan Ranger on his Bluebell Woodland Photography Workshops. Please see poster for full details. Alan’s photography classes have exclusive use of the other wise private woodland. A proportion of the advertised fee will go the farms designated charity.